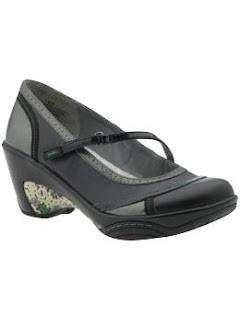 The secret to this fabulous shoe is it’s thick, rigid sole which allows for less motion across the bottom of the foot and less motion means less pain. It’s wide toebox and rigid rearfoot control allows for more biomechanial control. This limits motion and therefore limits pain and mechanical strain as well as decreases the chance of injury. 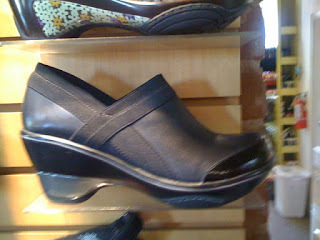 The photo of the Jambu Wedge was taken at The Shoe Mill in Tempe, Arizona.